Is it safe to use rainwater? Most of us would consider rainwater to be quite safe. After all, it is the most natural form of water. However, this doesn’t automatically mean that rainwater is safe to use. How can the most natural form of water become potentially unsafe? Let’s look at the steps between rainfall and the point at which it is put to use. Firstly, we need to collect all the rainwater before putting it to use. In majority of cases, roof tops are a logical place to collect rain water. Generally, roofs have natural slopes to easily drain water. Also, many types of rainwater collection systems and rainwater screens are available. On the other hand, roof tops also attract many potentially hazardous contaminants. For instance, it is common to see leaves, bark, sap, bird dropping, bat droppings, pests and possums on rooftops. So, the pure rainwater starts getting very contaminated as soon as it starts flowing across a roof. Large properties often have large open spaces like car parks. As a result, it makes sense to collect all the rain from large car parks, yards and the like. Like roof tops, large open spaces and car parks also attract their share of leaves, bark, sap and bird droppings. To make matters worse, the car parks also have oil, exhaust fumes, pieces of rubber, gravel, wood chips and a host of other contaminants. As a result, rain water becomes even more contaminated as it flows across a car park. Regardless of where rainwater is collected from, if we want to put rainwater to use, we must filter it with coarse and fine filters. Secondly, we need to store the water in rainwater tanks before it can be put to use. Water can remain still in the tanks for a few days, a few weeks, a few months or longer before it is used. As we have seen, rainwater contains lots of organic and inorganic contaminants before it reaches the tank. Over time, bacteria and other contaminants start to grow in the stored water. For instance, the water starts to get a slimy feel, odd smell or taste. So, is it safe to use rainwater? Over the years, many people have been using rainwater. Indeed, they have generally survived without too many issues. This doesn’t mean that their rooftops and water tanks are miraculously clean and free from any bacteria! It is more likely that their bodies have grown immune to the type of bacteria that are common in the rainwater systems. Meanwhile we know that bacteria, viruses and most microorganisms continue to evolve. Emerging species and variants of microorganisms continue to pose new threats. They can quickly spread across geographies. So, continuing to use untreated rainwater simply because it has worked in the past can be dangerous. Very dangerous. A casual internet search like “diseases related to bird droppings” shows plenty of health warnings. After all, we have no control of what will contaminate our rooftops and rainwater tanks. In conclusion, using untreated rainwater is not safe. We must adequately filter and disinfect rainwater before being able to use it.We will look at sizing UV unit for rainwater disinfection in another post. Advance C™ Series is very popular for reliable UV disinfection of rainwater. 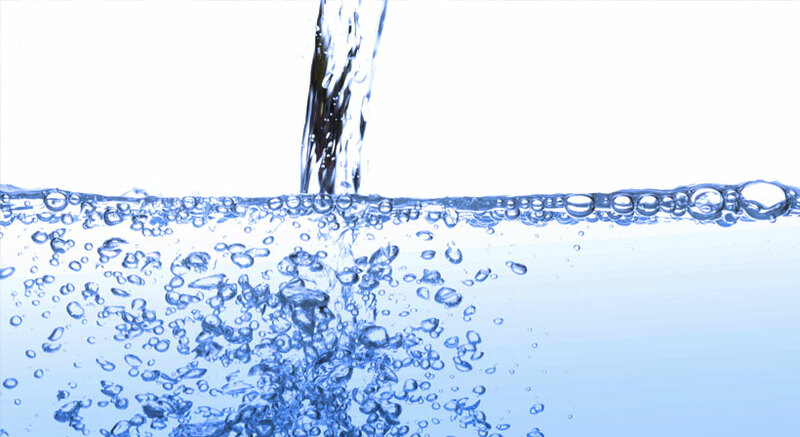 Contact us if you have any questions about rainwater treatment or UV disinfection of rainwater. How Safe Is Swimming Pool Water?